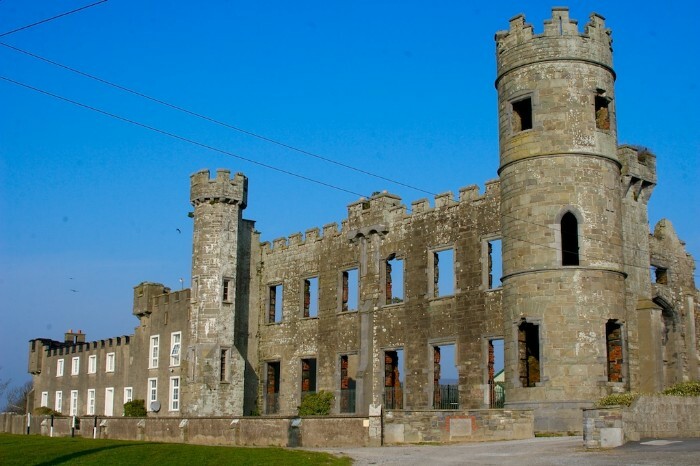 This Castle which is now largely a ruin stands within the grounds of Ballyheigue Golf Course and provides for a dramatic setting. The West Wing per se has been restored and converted into modern dwellings in keeping with the original façade. The Buildings to the right have been the dwellings for the Leen and O'Halloran families for many years. This present structure was built on the grounds of a previous Norman dwelling, belonging to The Cantillons, Catholic landlords who were dispossessed in the late seventeenth century. The Crosbie's were given this demesne in return for their exhibited and perhaps sycophantic loyalties in and around the year 1600. The Crosby name is it seems a deliberate disguise of the previous Catholic MacCrossan. Patrick Crosbie was said to have been the first to do so and as a move to plant a new Protestant class as the powers to be, he inherited lands around Ardfert and Ballyheigue. These families then became the new landlords. Richard Morrison was commissioned in and around 1810 to design the mansion in a castle style then fashionable during the Gothic Revival years. He passed a test of the commission to his precocious son, William Vitrivius, then just fifteen years old, his design astonished his father and was used. This older mansion now improved to a picturesque ensemble had 40 rooms, a towered and battlemented gateway called The Grand gate and a long drive through the sweeping lawns over which deer grazed. There was an engulfing fire in 1840 which did considerable damage the servants were squarely blamed for this due to a matter of gross negligence. 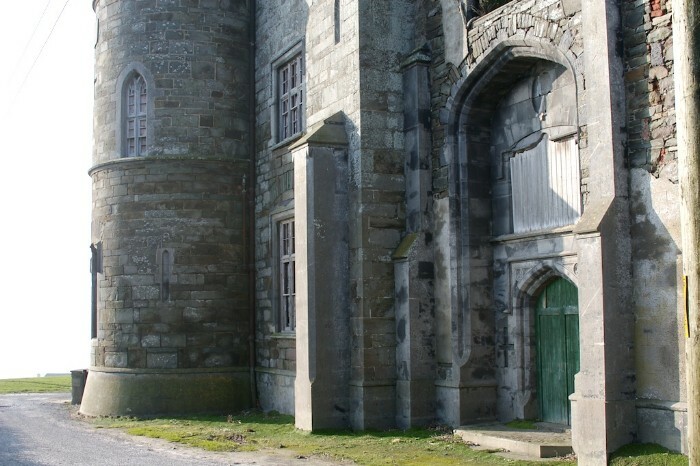 The castle was restored under the tenure of James Crosbie, his son James Dayrolles inherited and was actively engaged in working the estate and is said to have been a popular figure amongst the working classes. As protestant ascendency diminished in the early years of the last century James sold the castle to his sister who later sold it, being eventually purchased by Jeremiah Leen for 4000 pounds. 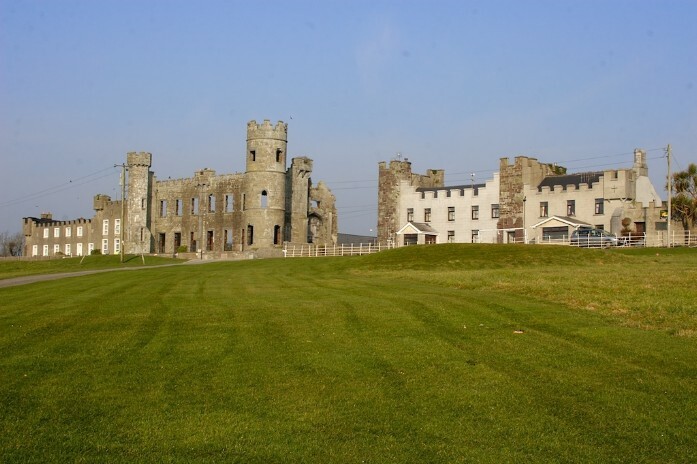 Just after the completion of the sale the castle was burned for the second time on the night of May 27th 1921 as a general policy in the destruction of symbols of British Imperialism. Unfortunately the Truce came into operation on the 11th of July that same year.